Karen's sister purchased a gift voucher for her birthday and left Karen to decide what photos she would like to use for her portrait, the size and the medium. You cant get a more personalized gift! 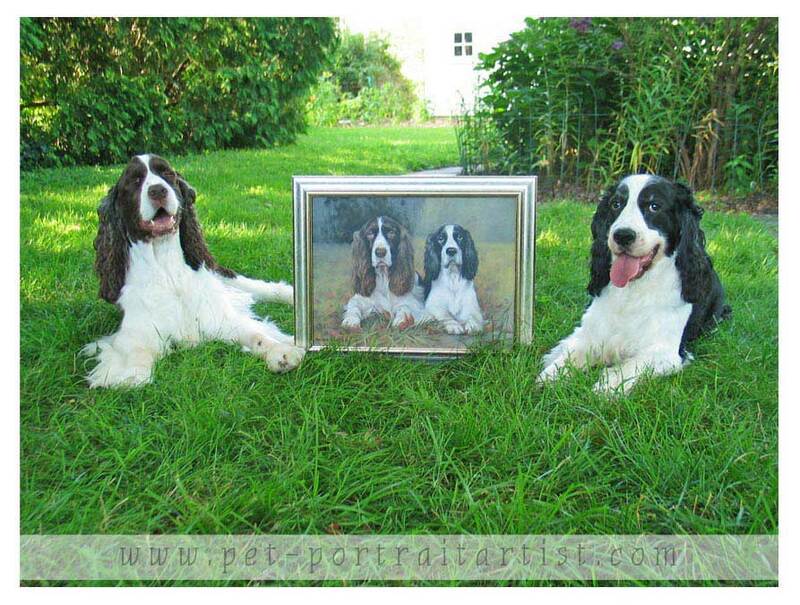 Karen's two spaniels Winston and Daisy are beautiful and we are so pleased with the way the painting turned out. Karen took some lovely photos of Winston and Daisy with the portrait and if you read the letters below is gives some funny accounts of their photography shoot! Winston and Daisy look absolutely fantastic! You have really captured their personalities. I love their painting! 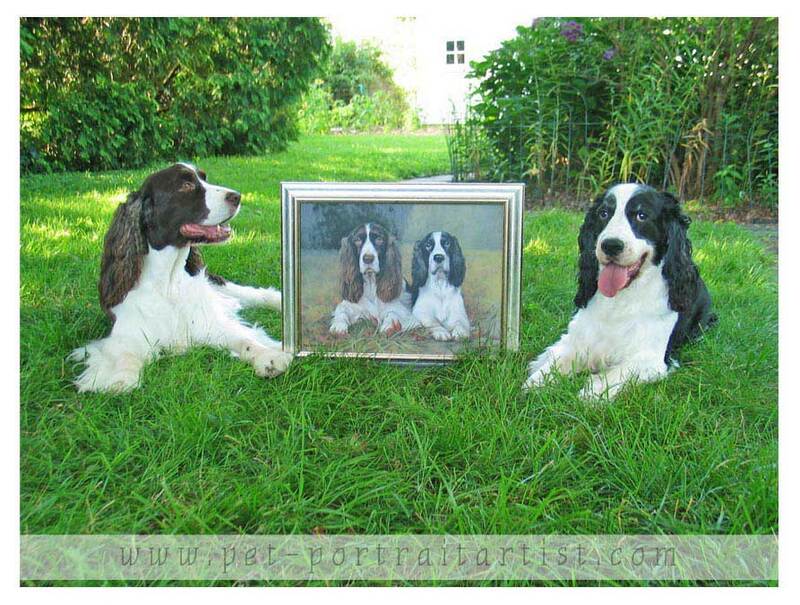 I appreciate how much work their ears must have been with all those "spaniel curls." I absolutely love, love, love it! The dog children should only look that good in person.You are such a professional. That is absolutely the perfect frame for this painting too. I love it! Thank you again for all your loving attention to this painting. All my family and I could not be happier with the way it turned out. You have a real gift. It's an artwork that I'll treasure forever, thanks to my sister's generosity. My entire family sends our heartfelt thanks! I've hung it in the living room where we walk by it several times a day, and it never fails to bring a smile to my face. You are so talented, and your work brings such pleasure to those of us lucky enough to own one of your pieces. I promise to send photos of my dogs with their portrait once the weather clears up. I want to stage it out in the back yard where the original photo was taken, but it's been raining all week here. I also have to mention how happy I am with the framing. Now the painting is truly finished, ready to hang the moment it arrived. Your choice of frame is perfect to harmonize with off the tones in the artwork. Special thanks to your framer -- the workmanship is perfect, and I love the fleur de lis paper on the back! Thanks again for an absolutely smashing job!